Does your organization belong to the most capable Delft3D Modelling Centres worldwide? The certification for Delft3D Modelling Center is for the most sophisticated, robust, and significant user groups of Delft3D, comprising of at least five active Delft3D experts who execute a total of three to five Delft3D-based projects per year. A prerequisite of the certification process is the organization’s use of the validated version of Delft3D obtained via a Full Advanced Service Package. 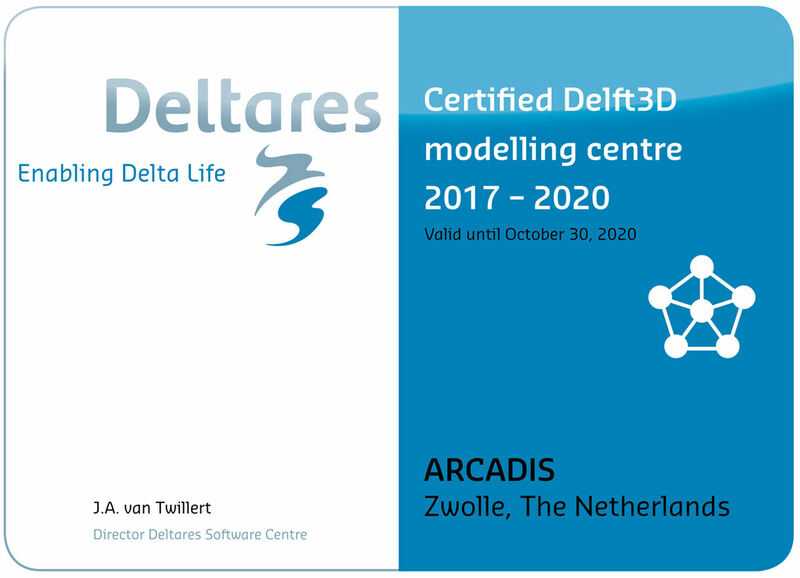 In the process of becoming a Delft3D certified modelling center, you will get insight in your organization’s Deltft3D expertise and you will be starting a joint path with Deltares, improving your and other organization’s modelling capabilities. You will be standing out, clearly visible as a Delft3D certified modelling center, knowing that Deltares’ experts will back you up when needed.